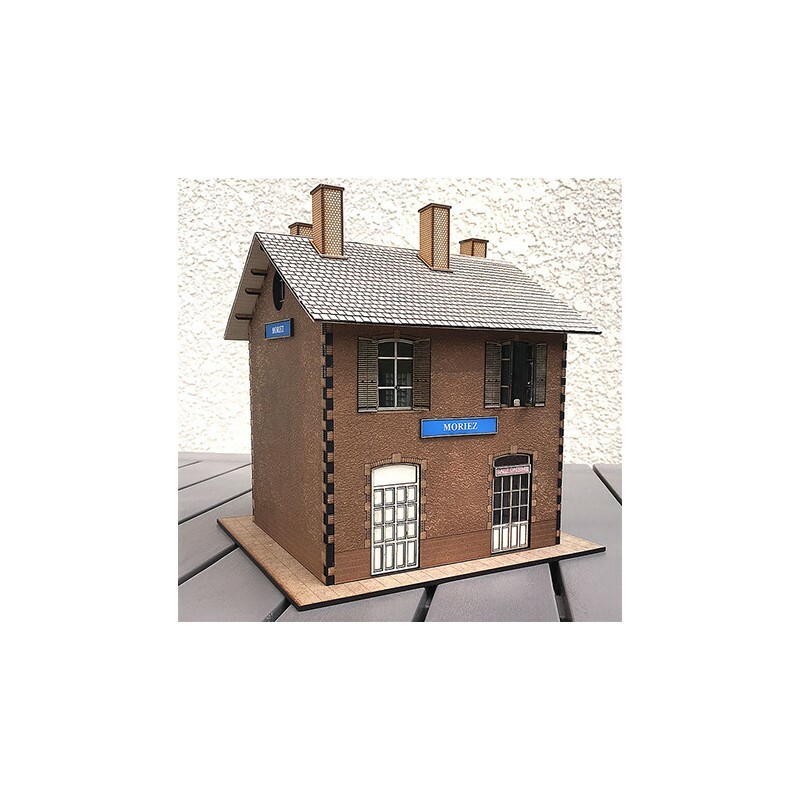 > BUILDINGS & TRESTLES>CP PROVENCE>BÂTIMENTS Om>Om CP TWO BAYS RAILWAY STATION KIT. 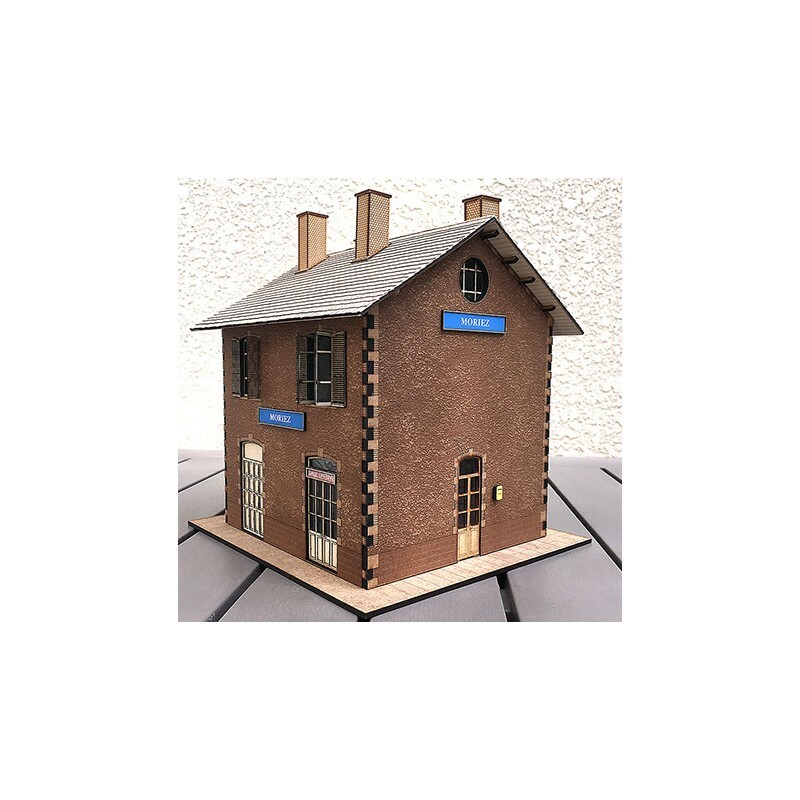 Om CP TWO BAYS RAILWAY STATION KIT. 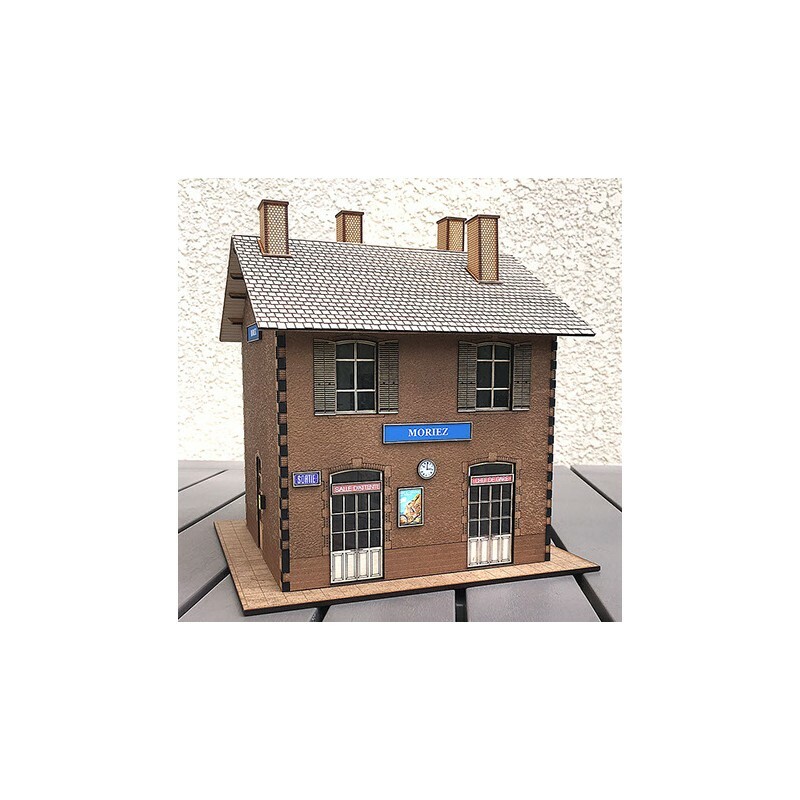 Om CHEMINS DE FER DE PROVENCE TWO BAYS RAILWAY STATION KIT. 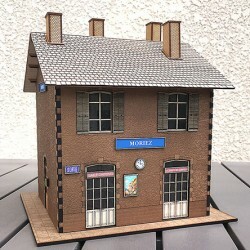 Chemins de fer de Provence / Sud France station wooden kit. Type 2 with 2 rows. 500 parts. 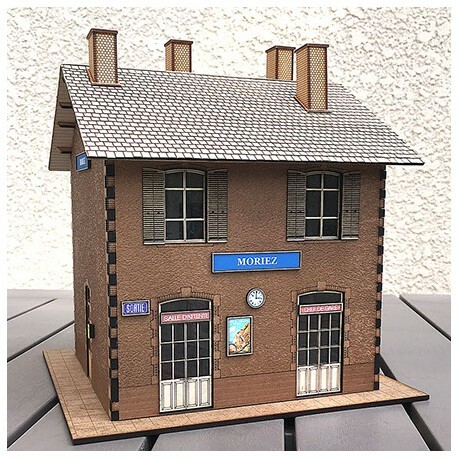 The kit includes curved tiles roof, simple interiors, 8 different Station names, railways posters, clocks, 2 benches, 2 casks and 2 petrol cans. Instructions with photos and drawings. Building sizes : 226 x 172 x 189 mm. Includes easy to use instructions with drawings.